Finca Splash is ideally situated for an unforgettable stag weekend, including all your accommodation and a huge range of activities – including golf, mountain biking, Canyoning, beach activities, visits to adventure parks and more – to choose from. 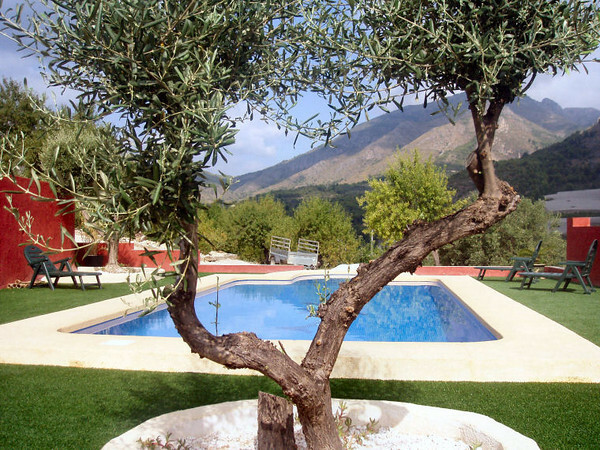 Just 30 mins drive from the the popular stag weekend destination Benidorm, you and your group can escape to the hills and enjoy the stunning views while you relax by the pool. With so much to see and do in and around Finca Splash and Bolulla, you’ll never want to leave! 2 nights self catering at Splash Finca Panoramica exclusive use, including collect and return from Alicante airport plus a day of adventure on the Saturday from our range of adventure activities. On the Saturday night we will take you sample the delights of Benidorm 15km away and bring you back in the wee small hours. Special for 2012 with bookings made before March is a 3 night for 2 offer. You may need the third day to recover by the pool!